Strange aliens both friendly and fearsome fill this tome of creatures designed for use with Paizo's Starfinder Roleplaying Game! The complete Roll20 conversion contains over 100 creatures, from the gravity-manipulating frujais and planet-killing novaspawn to space goblins and security robots. The creatures in this codex will challenge adventurers no matter what strange worlds they're exploring. What's more, player rules for a host of creatures let players not just fight aliens, but be them! Over 100 bizarre life-forms, including separate entries for each variant, from the reptilian ikeshtis and energy-bodied hallajins to robotic anacites and supernatural entities from beyond the realms of mortals. Each creature is set up with an art token, complete character sheet, and one-click actions and abilities. New alien technology to help give your character an edge, including weapons, armor, magic items, and more – all of which you can drop directly onto your character sheet for auto population. Bonus Token Pack including all creature art to use with any of your custom creations. All contents available both in-app and on the web. Which Character Sheet should I use with this product? All official Starfinder content on Roll20 is created to support the Starfinder by Roll20 official character sheet. 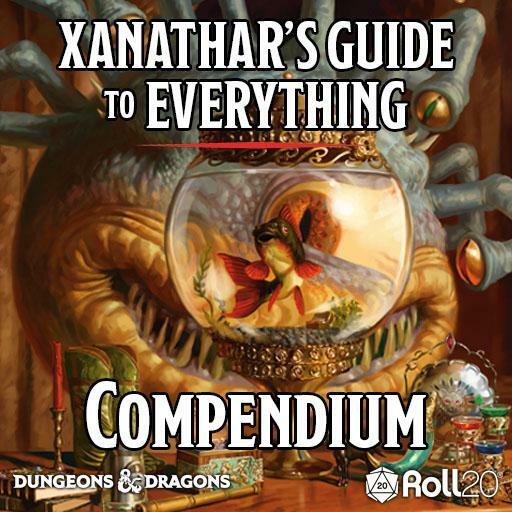 In a game using a Starfinder character sheet, simply go to the Compendium Tab (i) of the sidebar, where you can view and search all compendium entries, from monsters to rules. You can click on an entry to see the details, or pull monsters and rules into your game by dragging them to the game board. Out-game, you can access the Starfinder compendium here. See more about accessing Compendiums in the Roll20 Wiki. To access the bonus token pack, simply search your art library for the Alien Archive (Token Pack) folder. Never fear, the forums are here! Please post any questions or bug reports in the Alien Archive bug report thread. Starfinder Alien Archive © 2017, Paizo Inc. All Rights Reserved. Paizo, Paizo Inc., the Paizo golem logo, Pathfinder, the Pathfinder logo, and Pathfinder Society are registered trademarks of Paizo Inc.